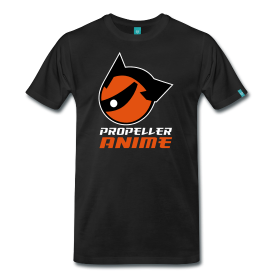 Propeller Anime: It's MANIME @ The Geek Easy! Free Beer! It's MANIME @ The Geek Easy! Free Beer! 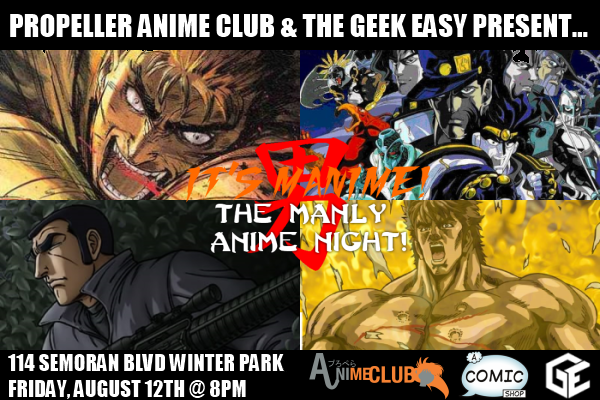 Friday, August 12th will be a night of violence, tragedy, beer, beef jerky, headbutts, and MANLY ANIME! 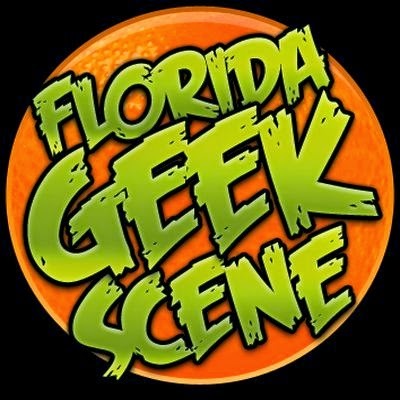 The fun starts at 8PM at A Comic Shop in Winter Park. The Geek Easy is in the back. We will show hyper-masculine episodes from five different MANIME series! We will have free Yeungling beer while beer lasts and only if you are over 21 with I.D. We will have at least one manly anime video game for you all to try out. We will possibly shed manly tears and then headbutt each other! That sounds like a fun night! Boys will become men. Men will grow beards. Women might get pregnant! 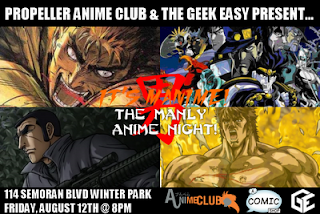 Anime Nite @ The Geek Easy: Pokémon Party! Post-AFO meeting on Sunday, August 14th!